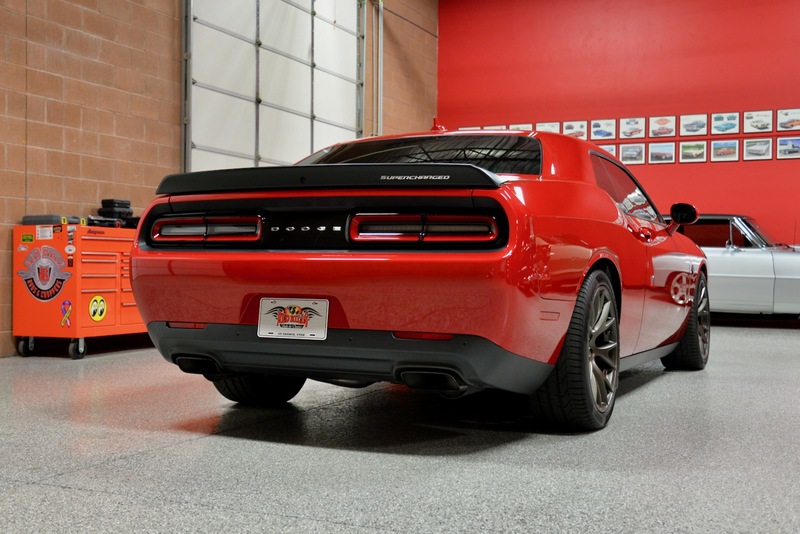 Are you ready to jump on the ‘Mopar Madness’ bandwagon and see what a real modern-day muscle car is all about? 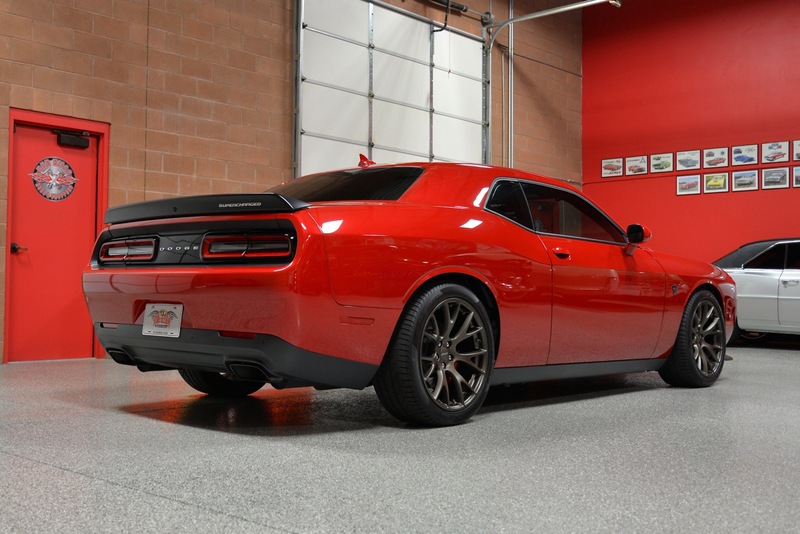 Well folks, I’ve got just the car for you! 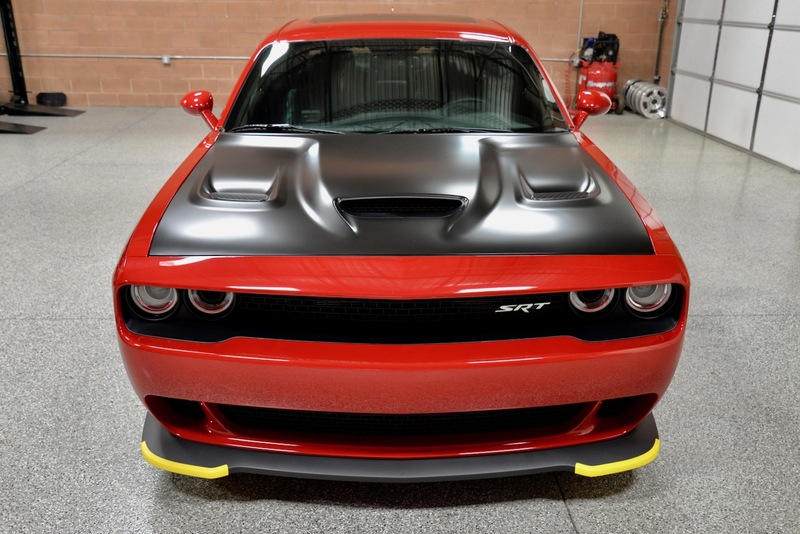 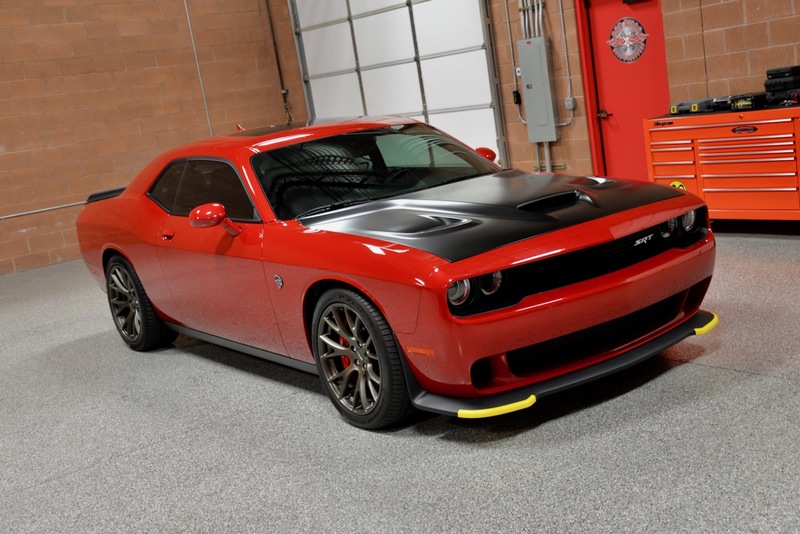 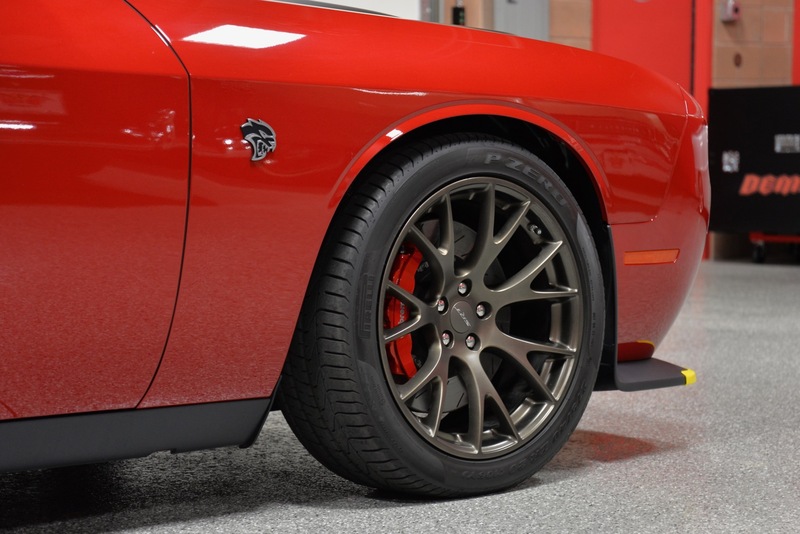 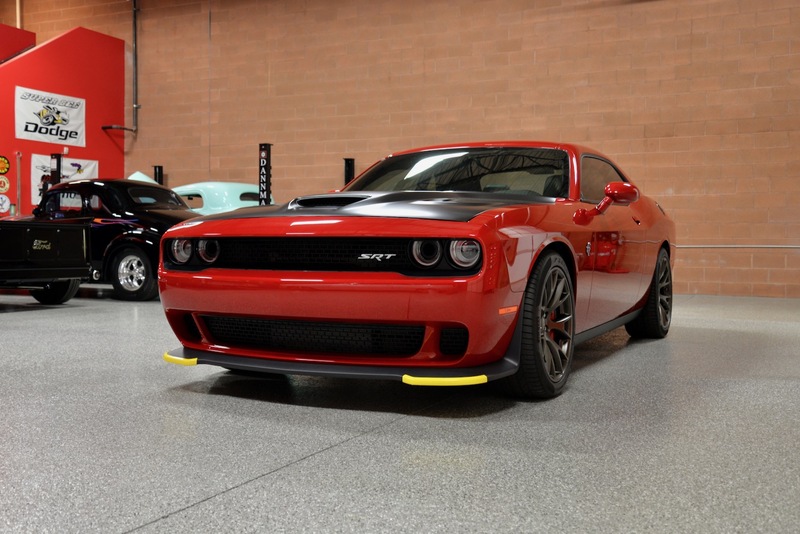 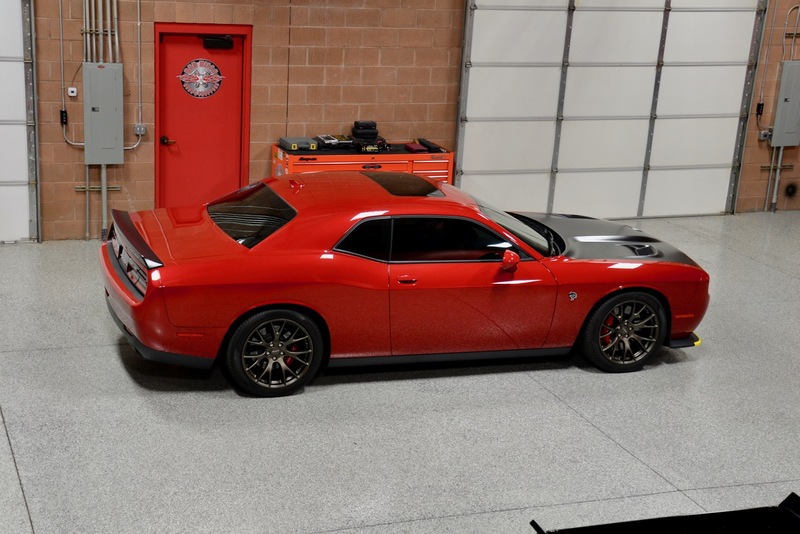 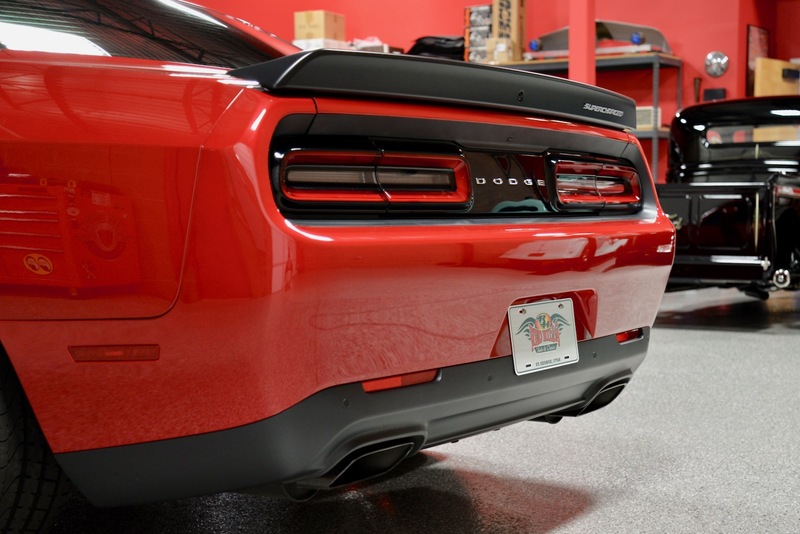 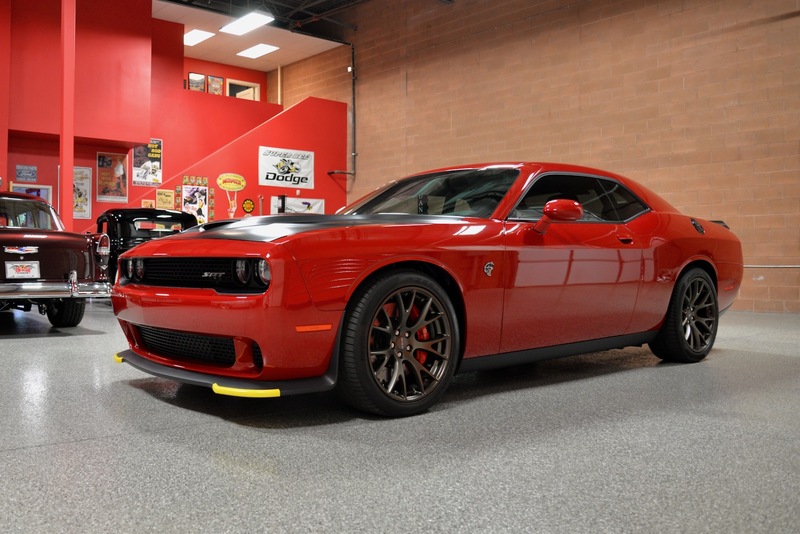 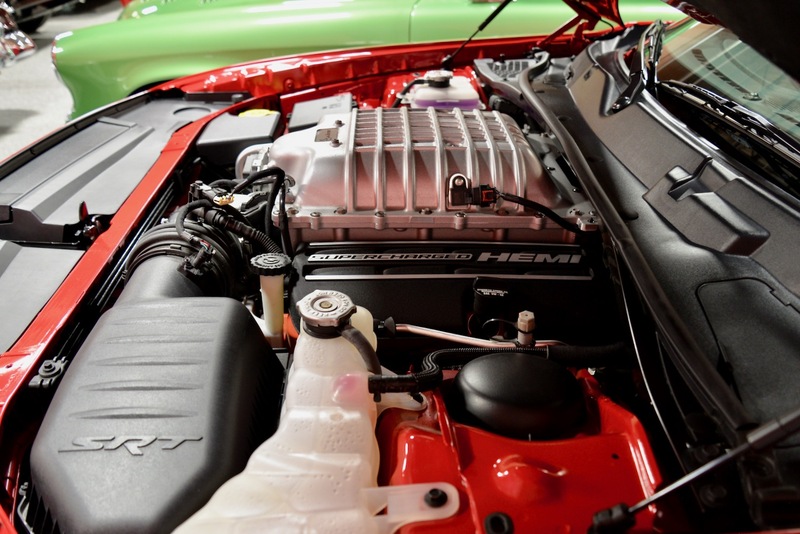 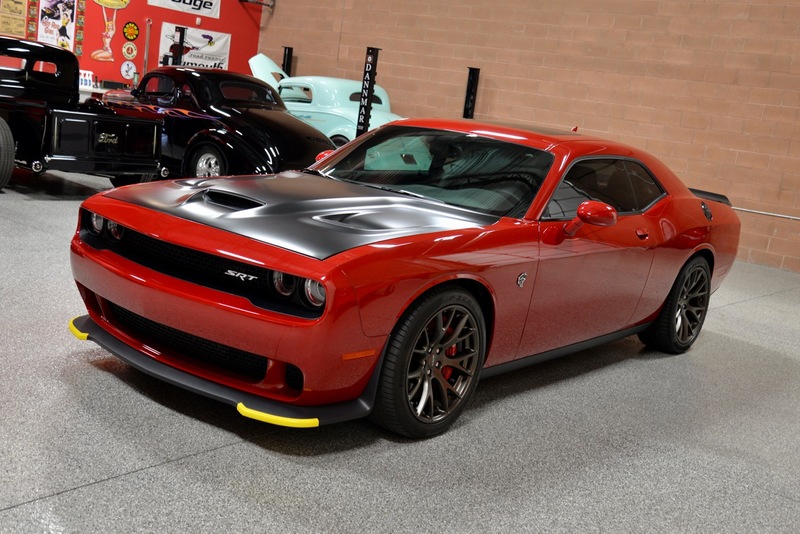 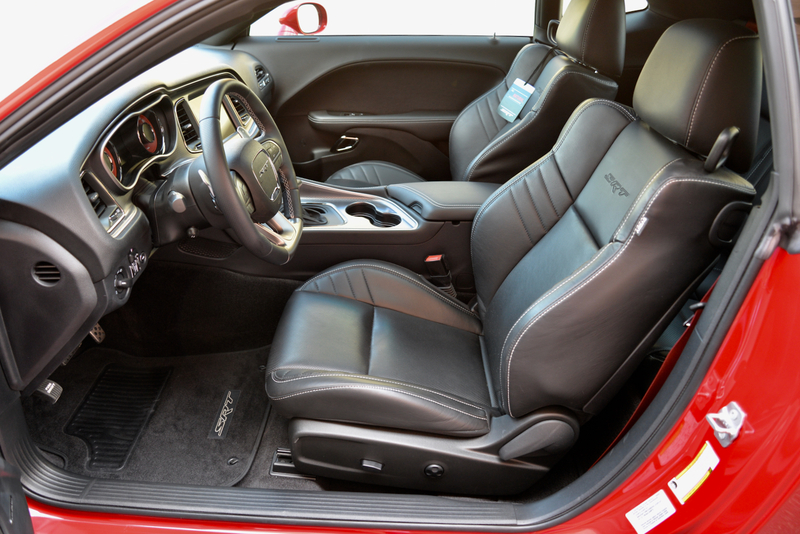 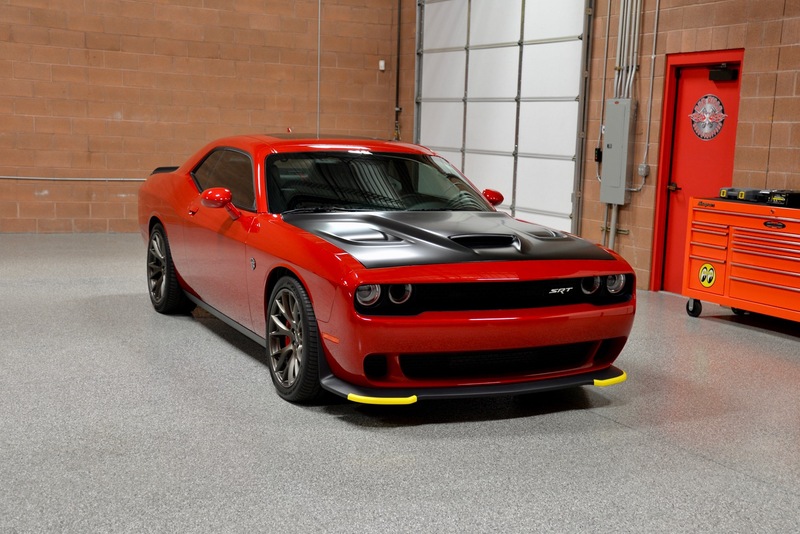 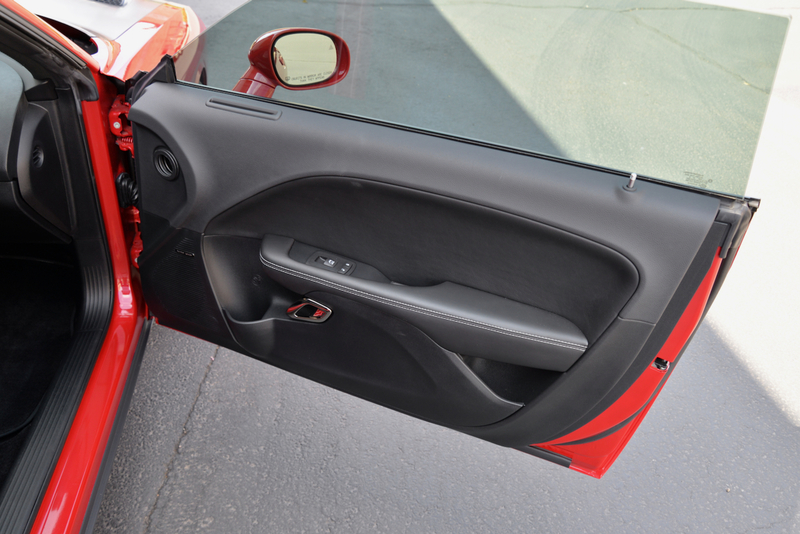 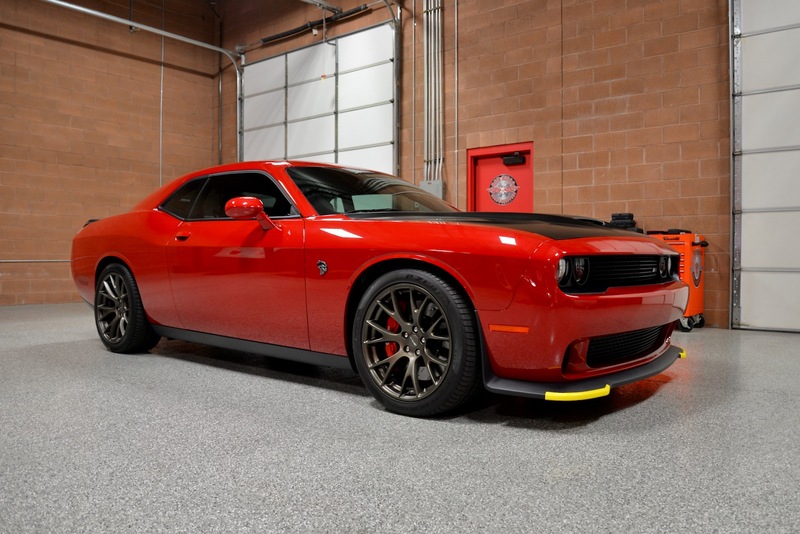 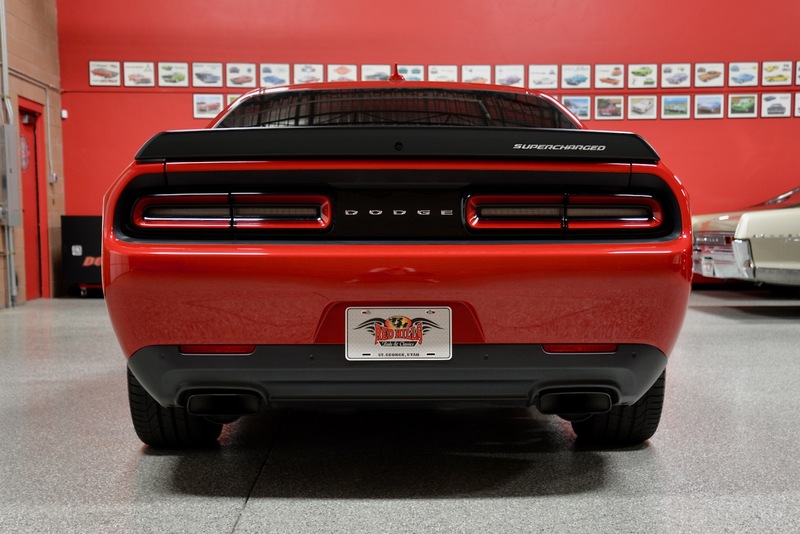 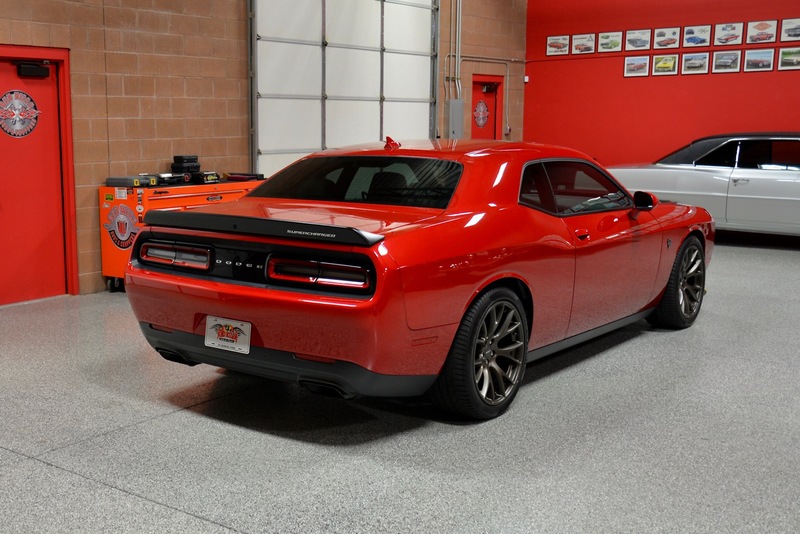 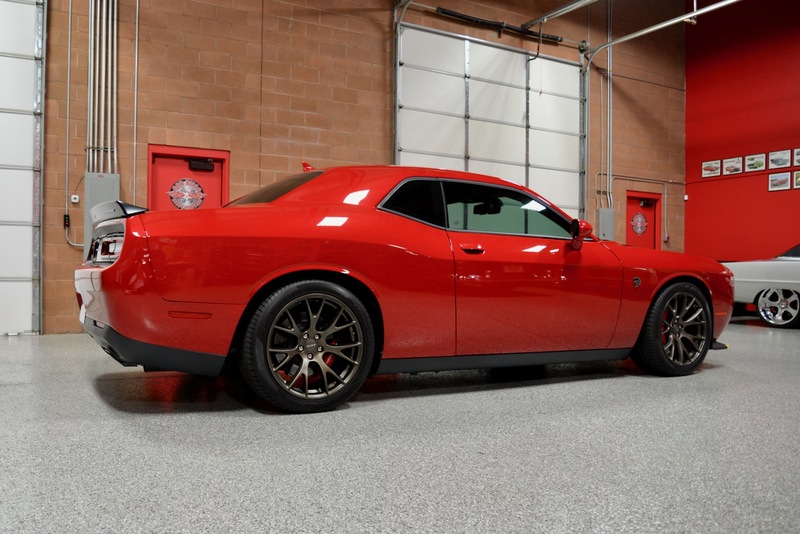 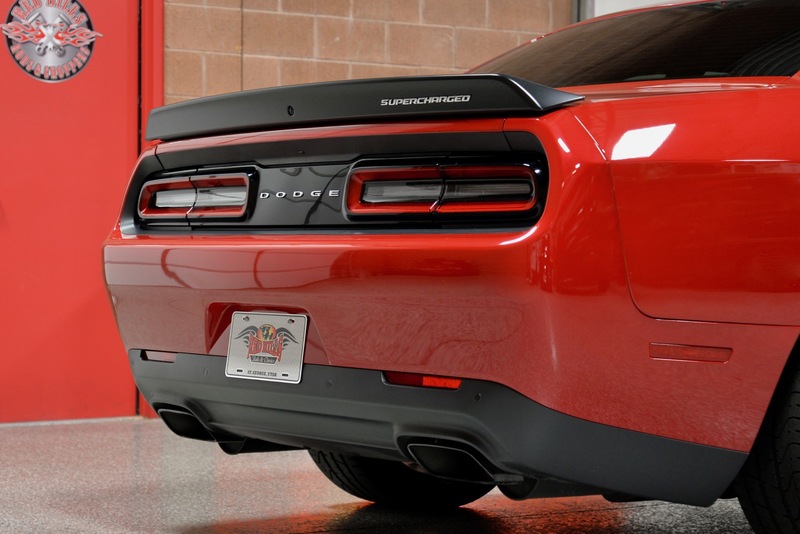 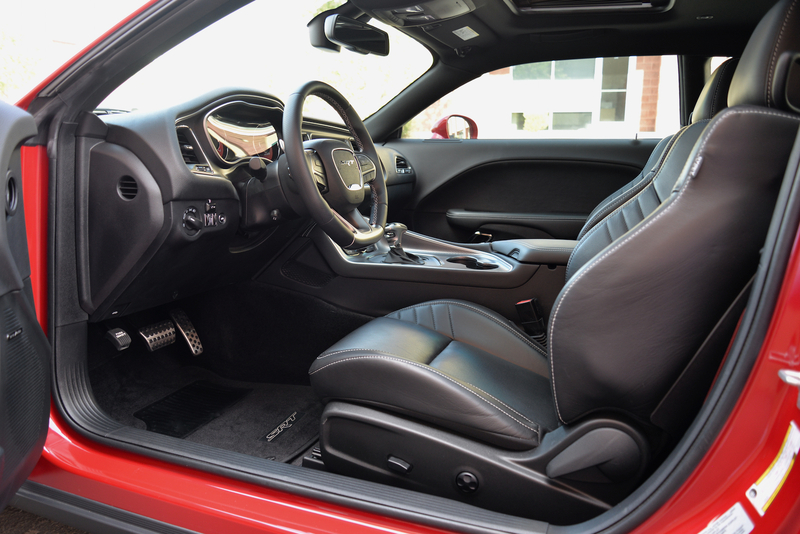 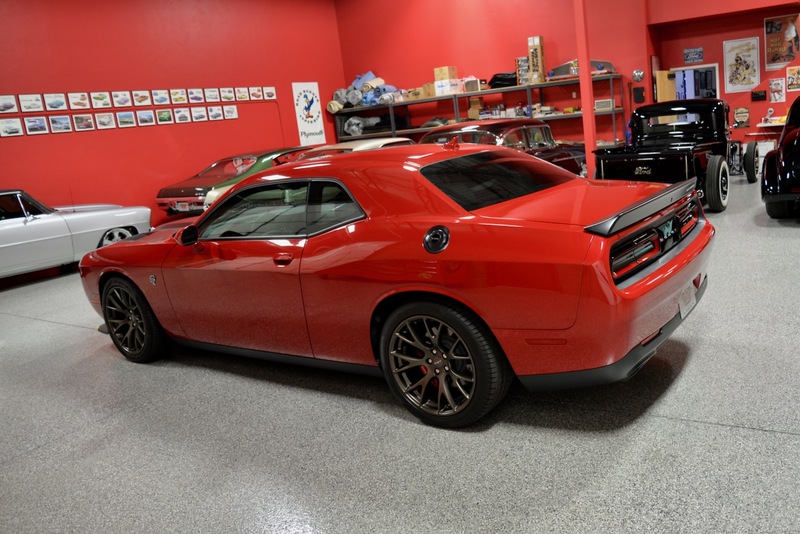 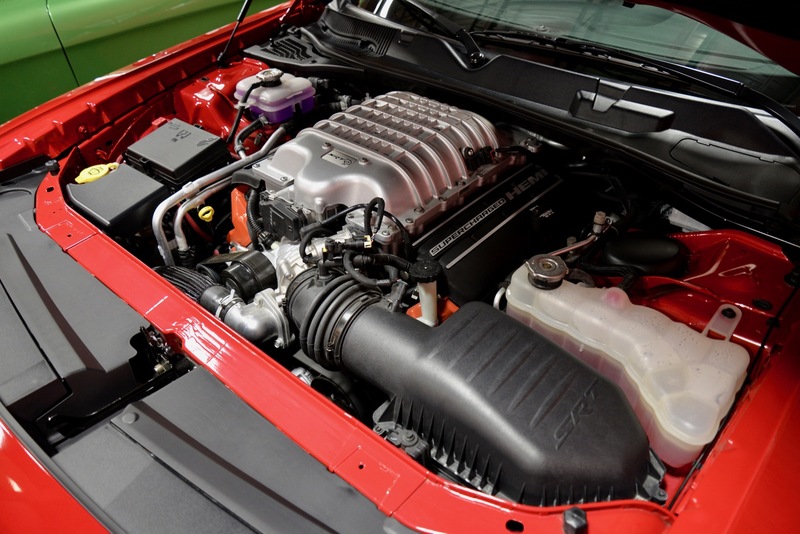 ‘Red Hills Rods & Classics’ is very happy to offer you this absolutely perfect 2016 Dodge Challenger SRT Hellcat, finished in arguably the best color combination of Redline Red Tri-Coat Pearl wrapped around a flawless Black Laguna Leather interior! 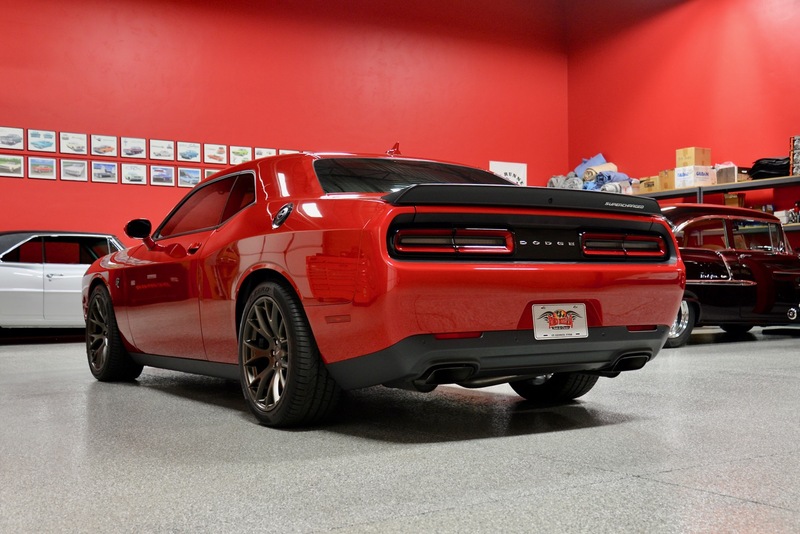 This gorgeous one-owner Hellcat came ‘fully loaded’ from the factory w/ every single available option including: Redline Red Tri-Coat Pearl paint ($500), Red Seat belts ($195), Torqueflite 8-Speed Automatic HP90 Transmission ($2,995), Power Sunroof ($1,995), 275/40ZR20 P Zero Summer Tires ($595), and 20” x 9.5” Brass Monkey SRT Forged Wheels ($995). 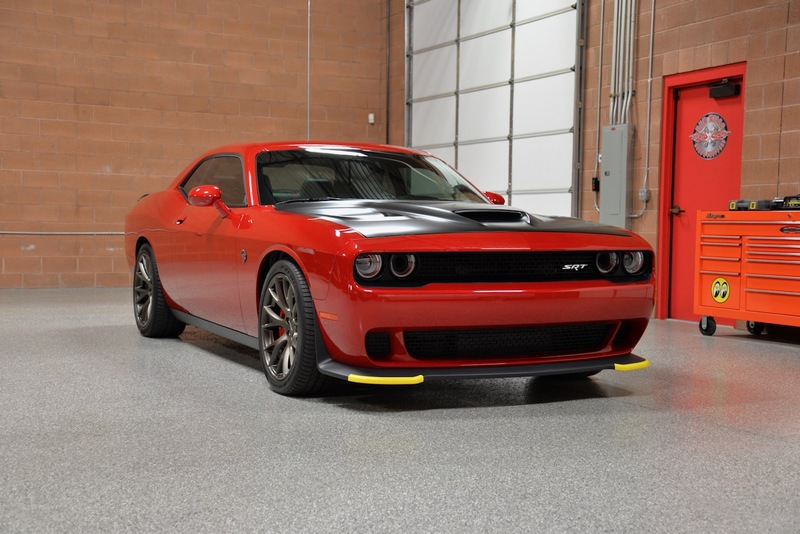 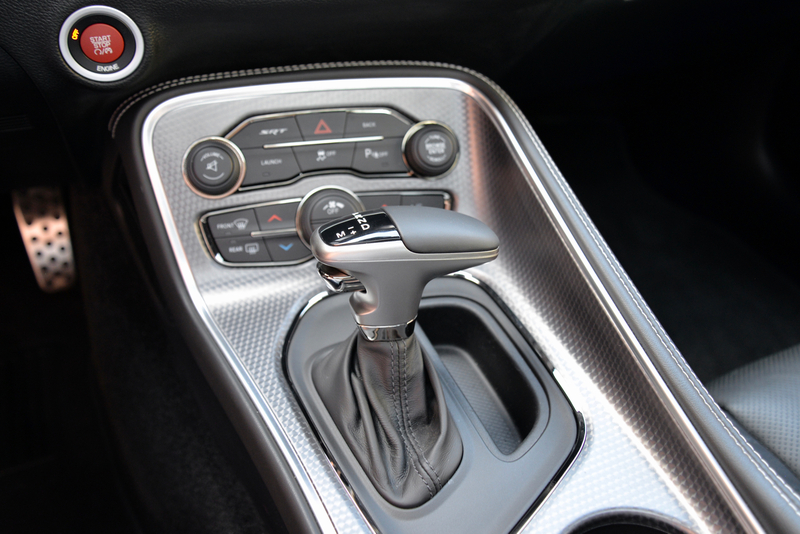 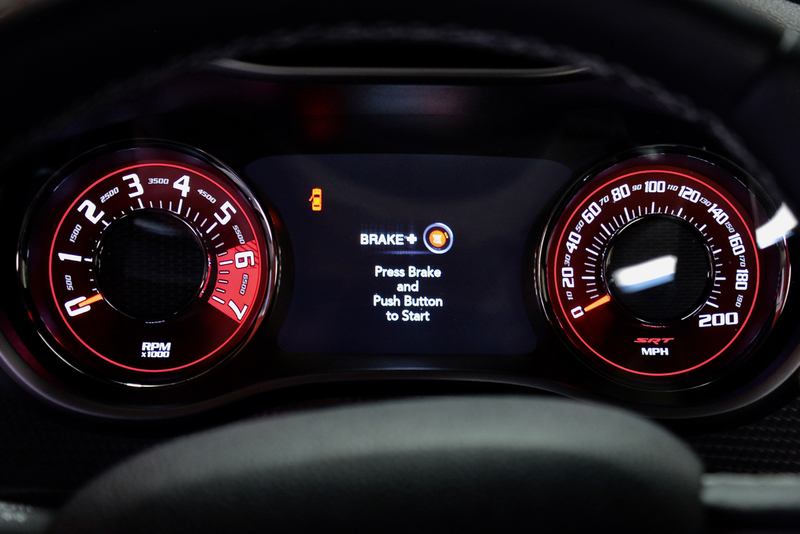 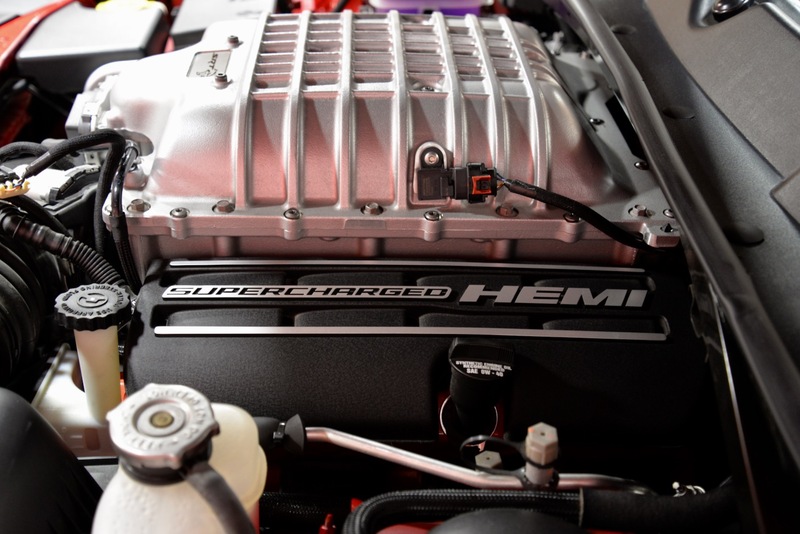 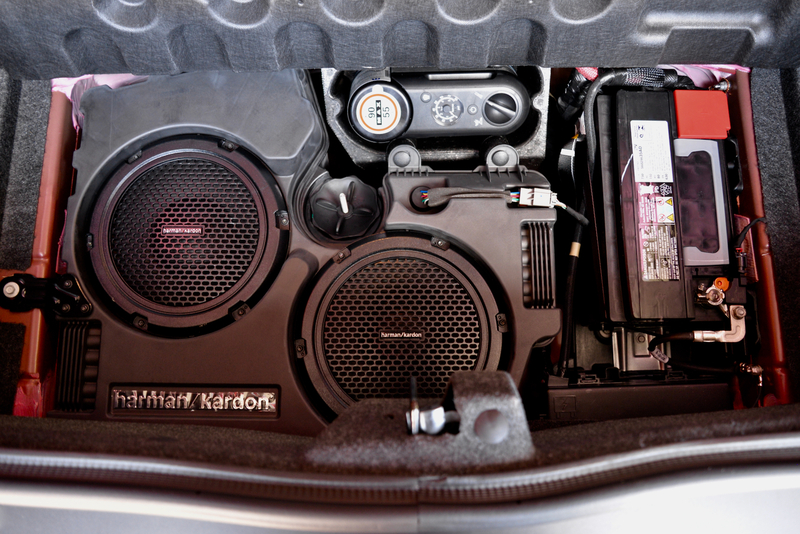 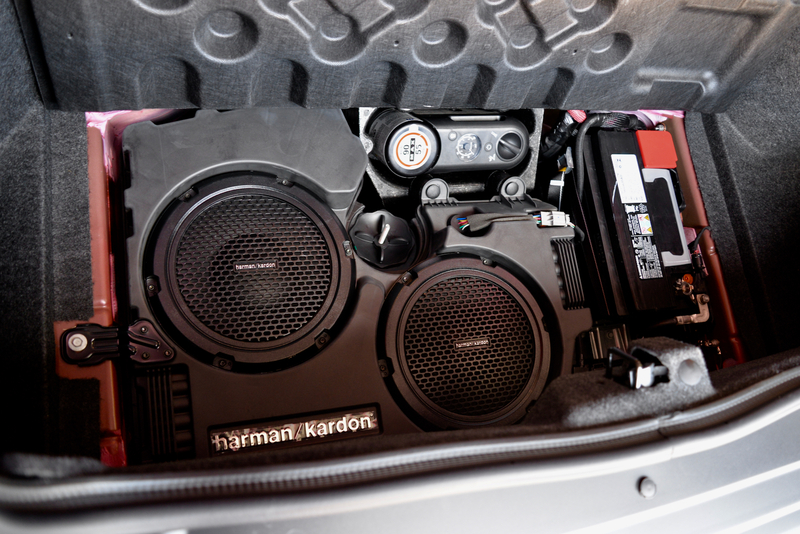 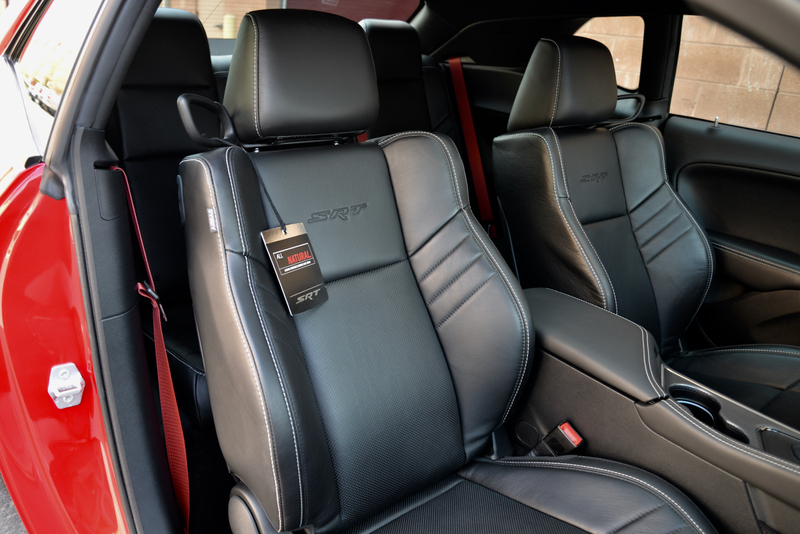 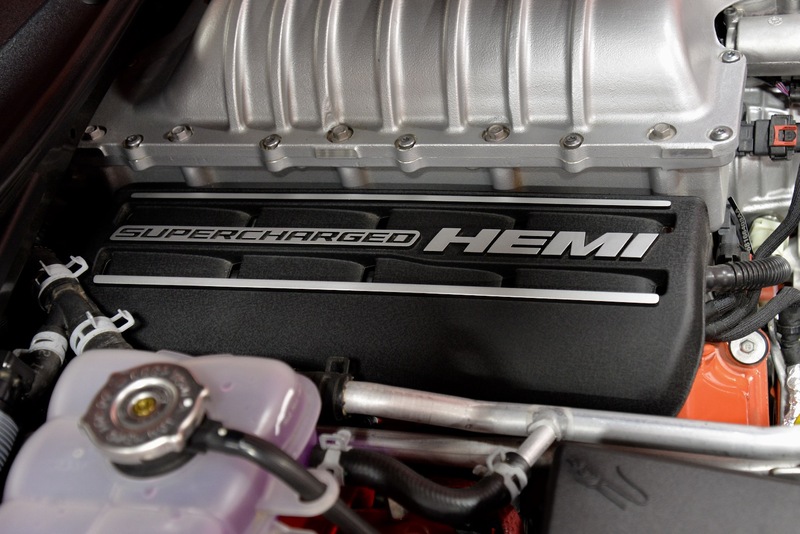 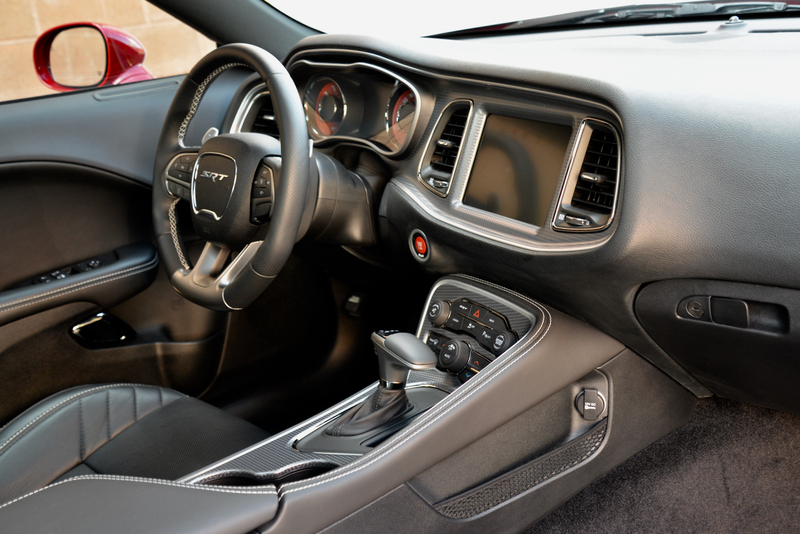 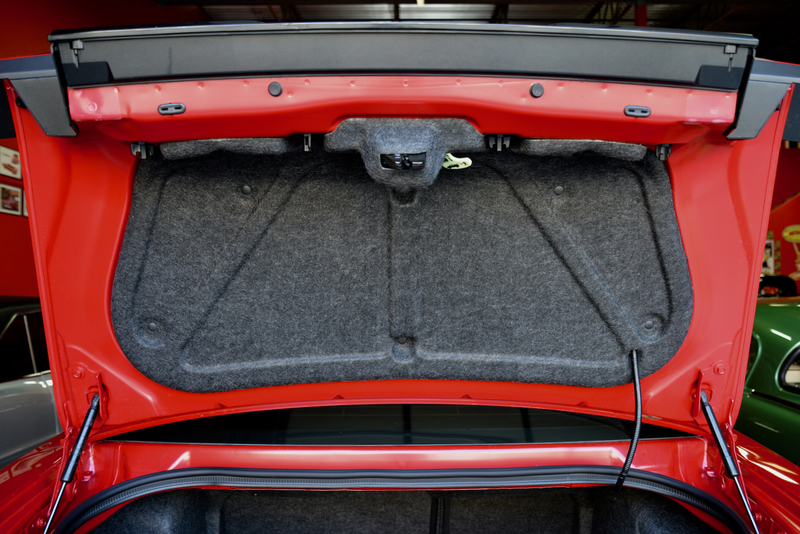 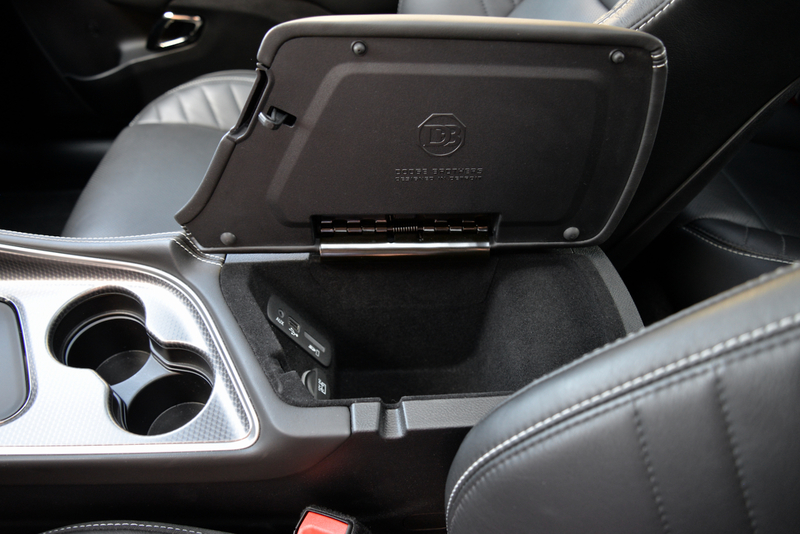 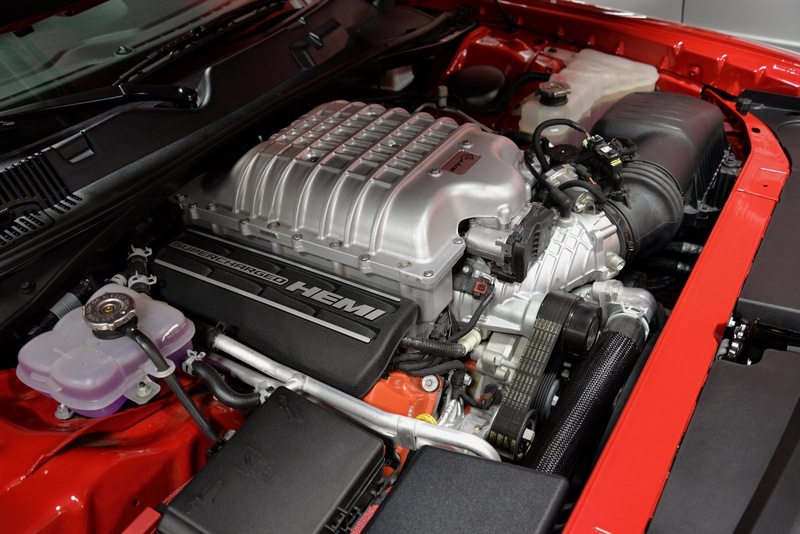 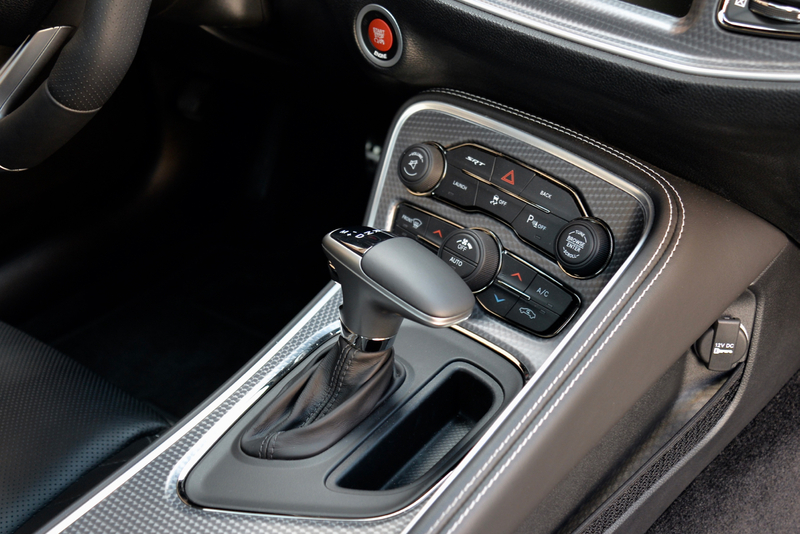 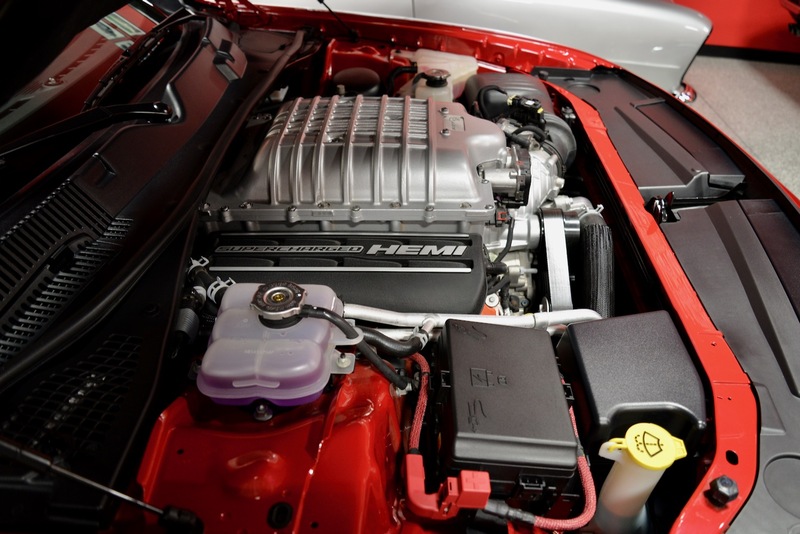 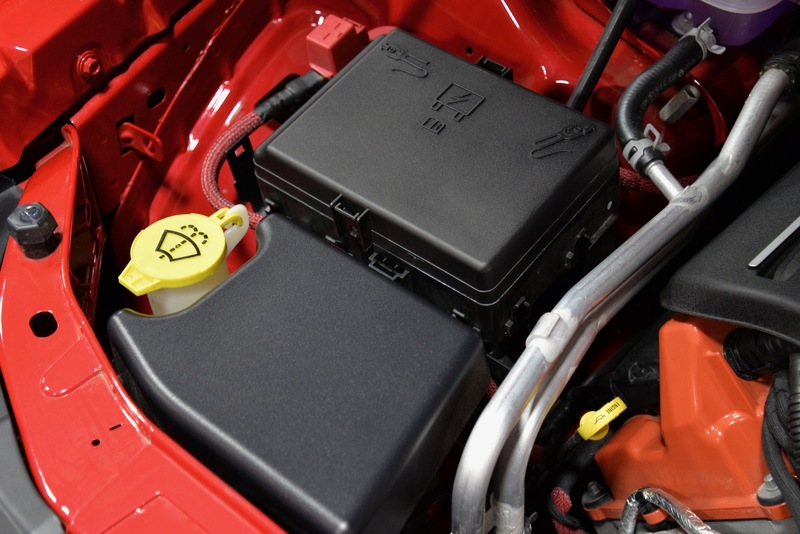 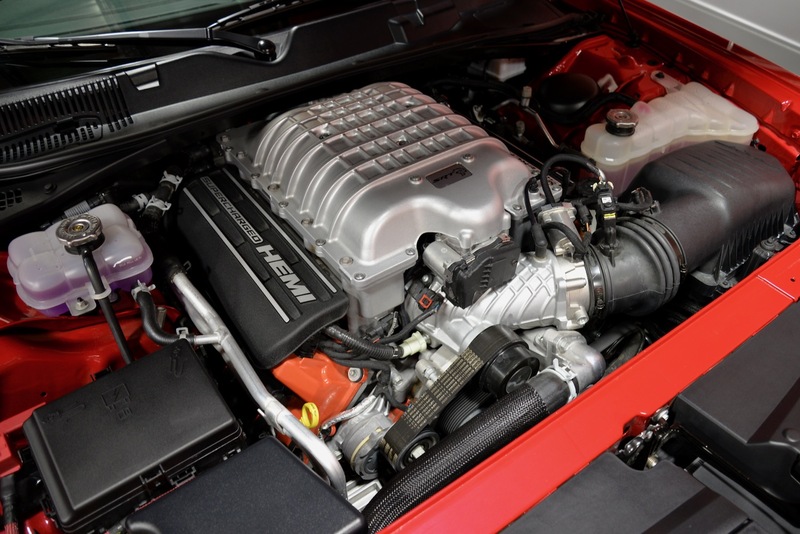 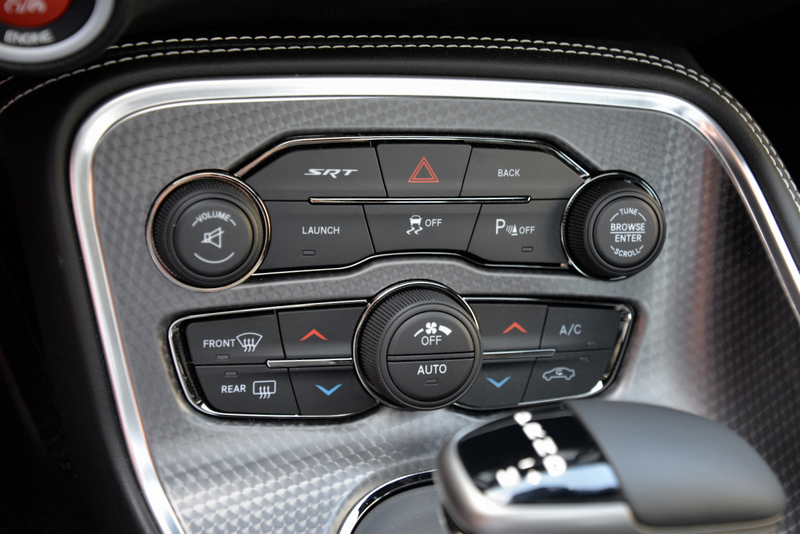 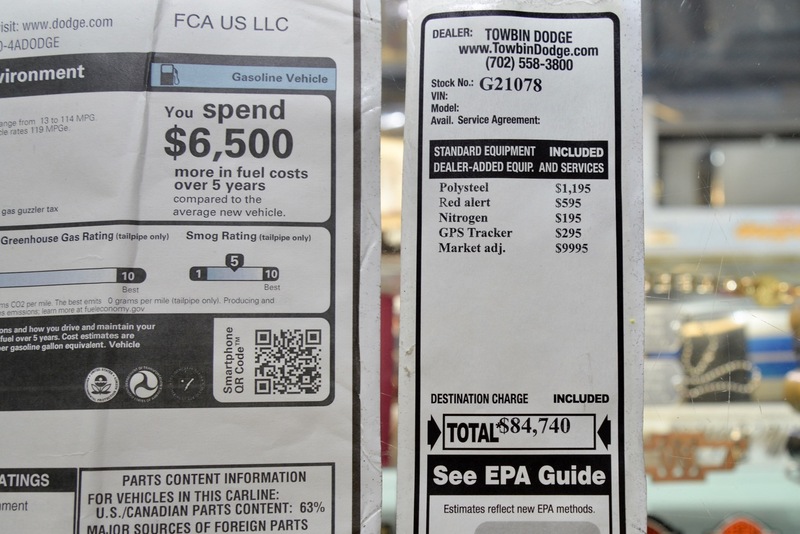 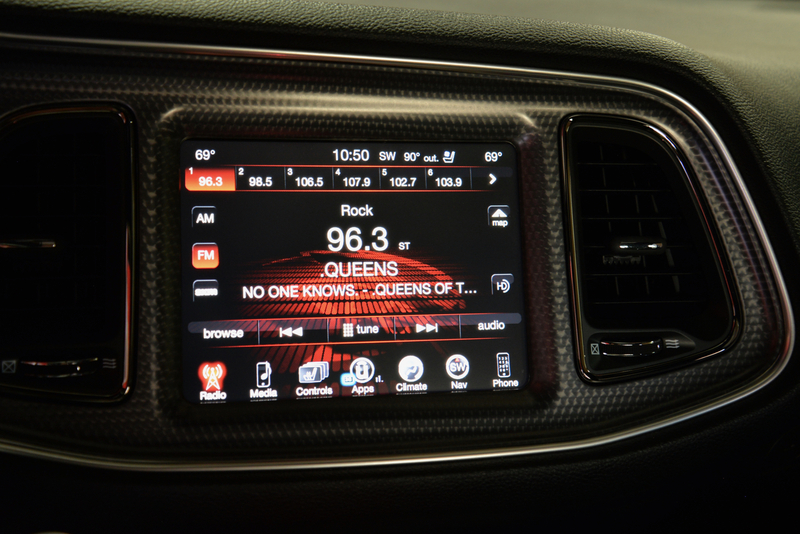 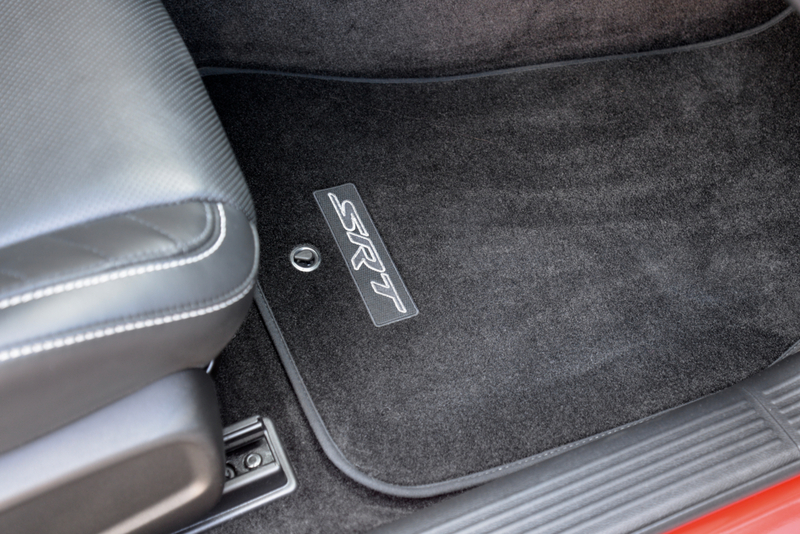 The Dodge dealership, Towbin Dodge in Las Vegas, Nevada, added a Red Alert anti-theft system ($595), Nitrogen tire inflation ($195), and a GPS tracking Devise ($295), along w/ a $9,995 Added Dealer Markup brought the original sales price to $84,470. 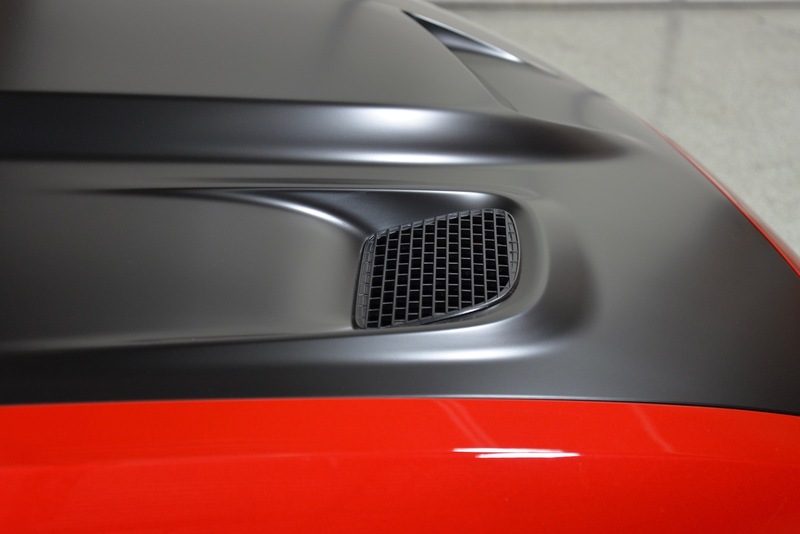 The original owner decided to add a ‘matte black’ hood wrap at the time of purchase, which looks absolutely amazing, but can easily be removed if the new owner prefers the car without it. 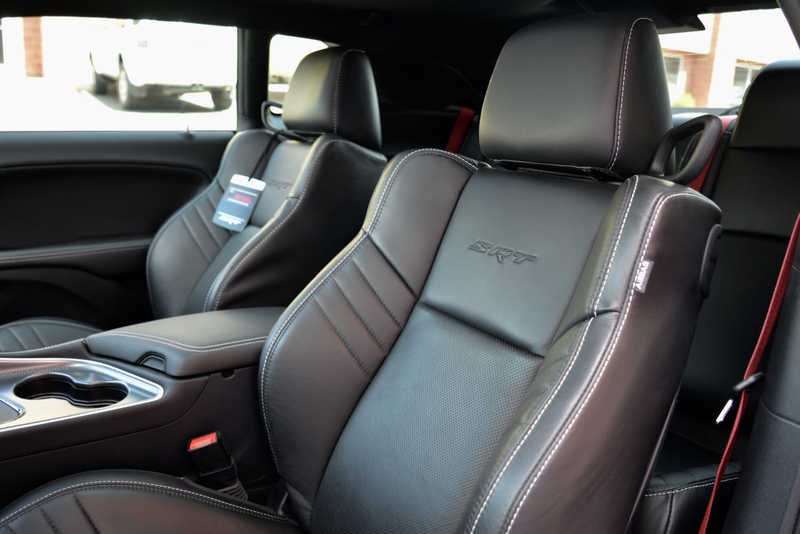 With only 2,770 pampered miles since new, you will not find a more ‘flawless’ example anywhere @ any price, period! 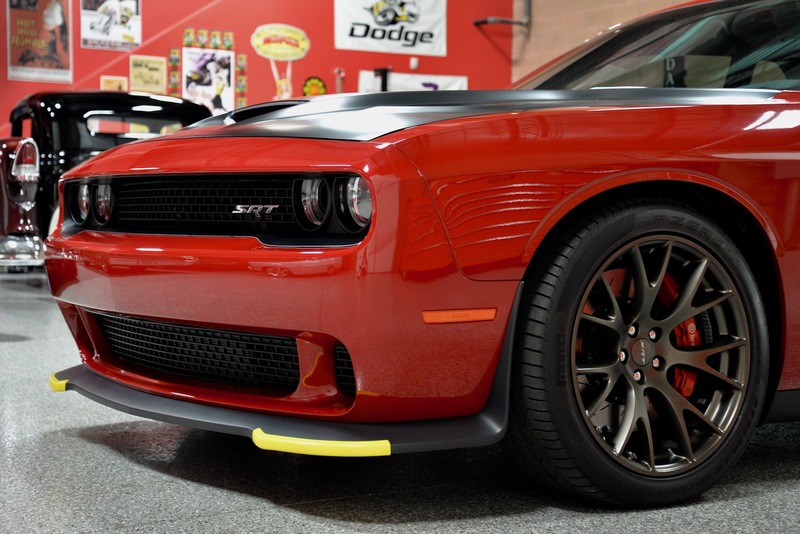 The Redline Red Tri-Coat Pearl paint is simply brilliant w/ absolutely NO blemishes, NO chips, NO scratches, etc. 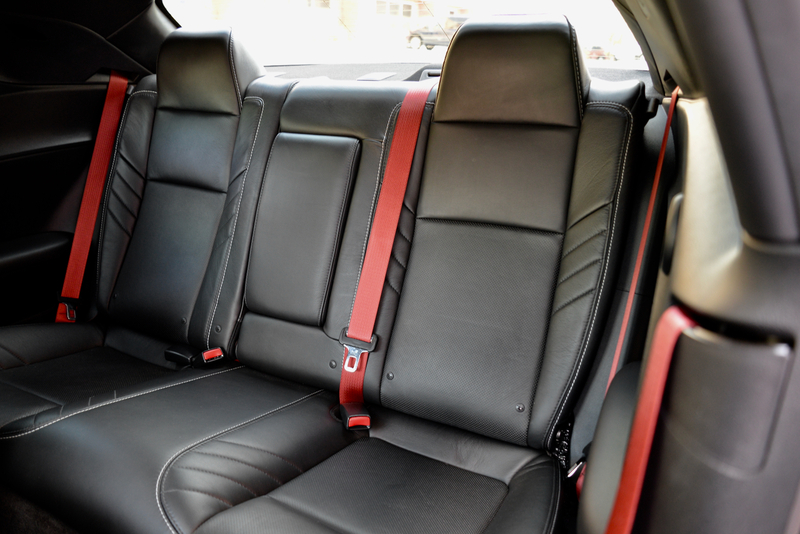 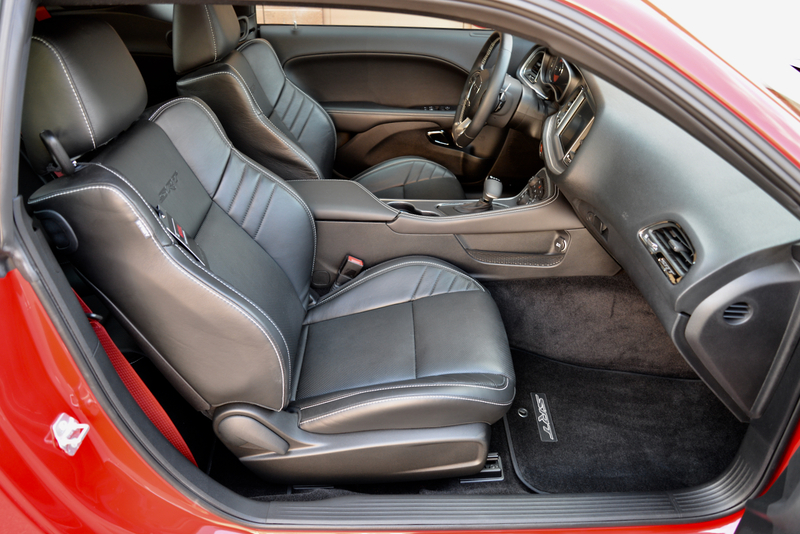 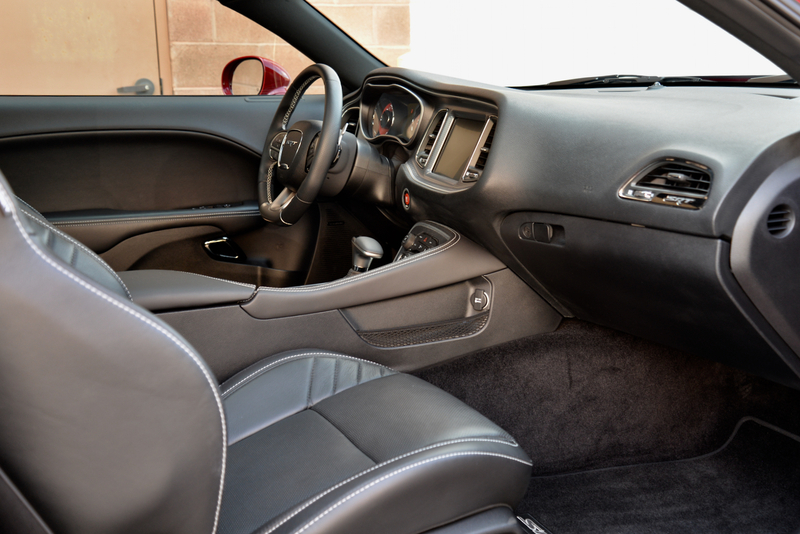 The Black Laguna Leather interior is in the same flawless condition as the exterior of the car, showing absolutely no wear whatsoever. 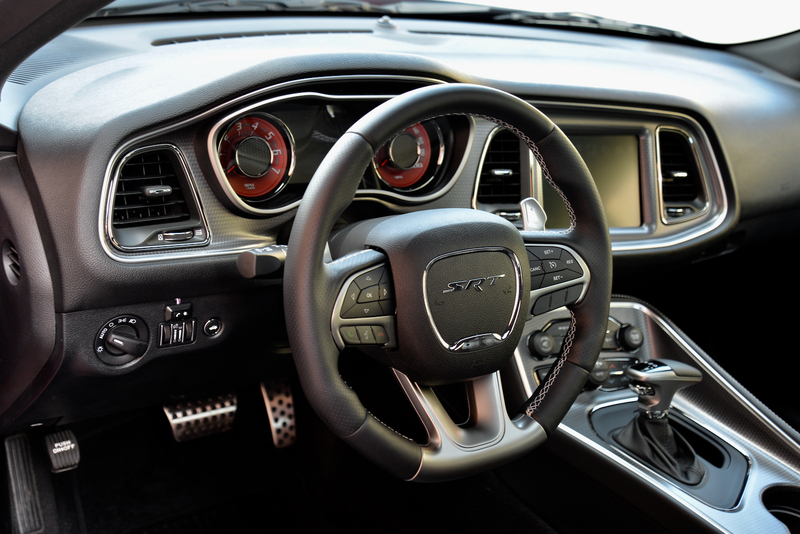 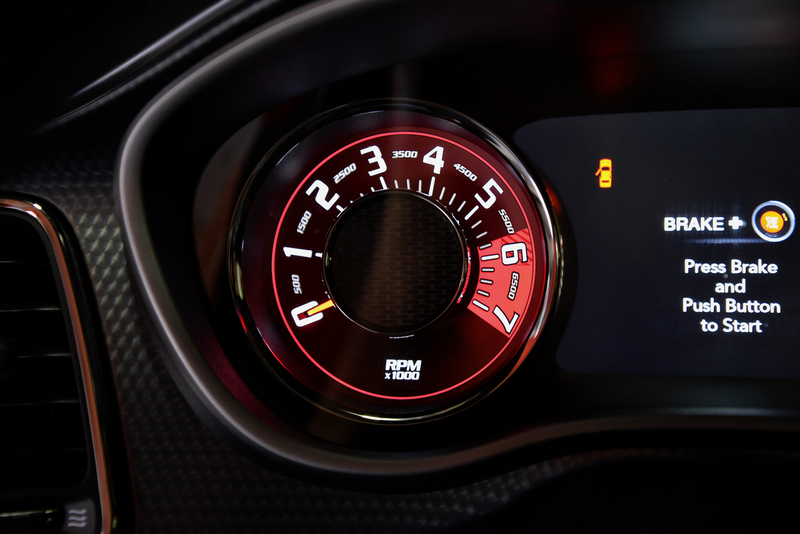 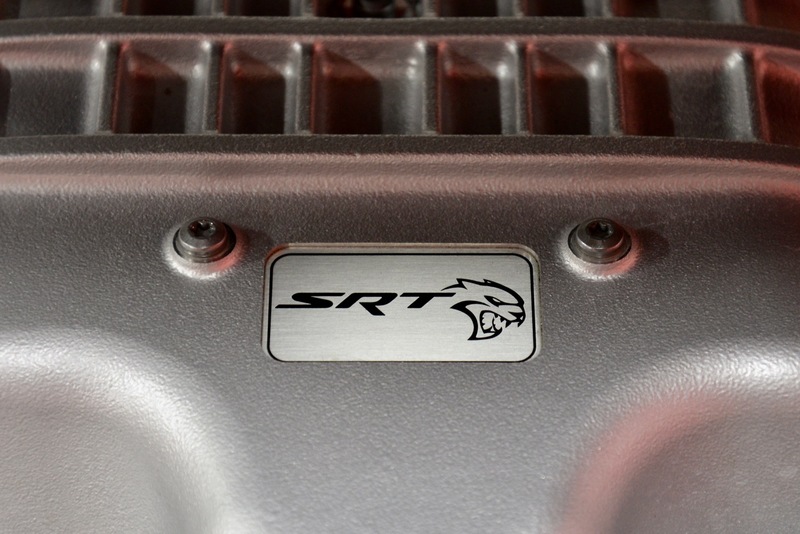 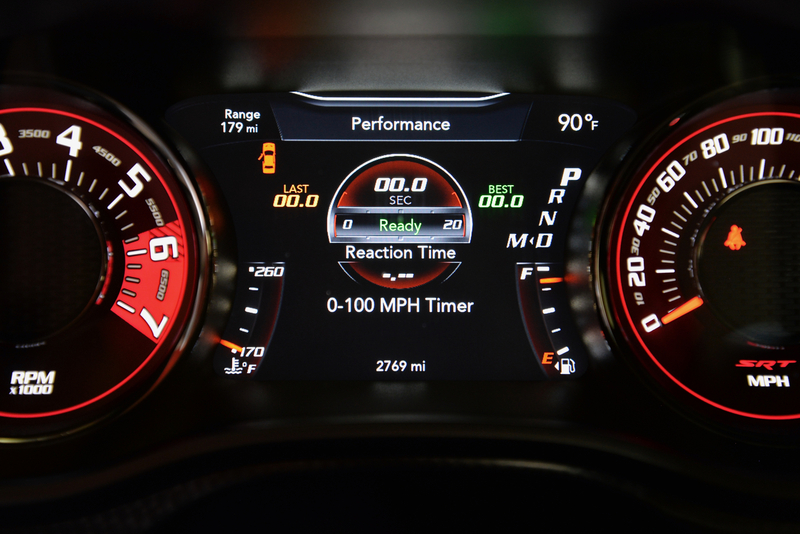 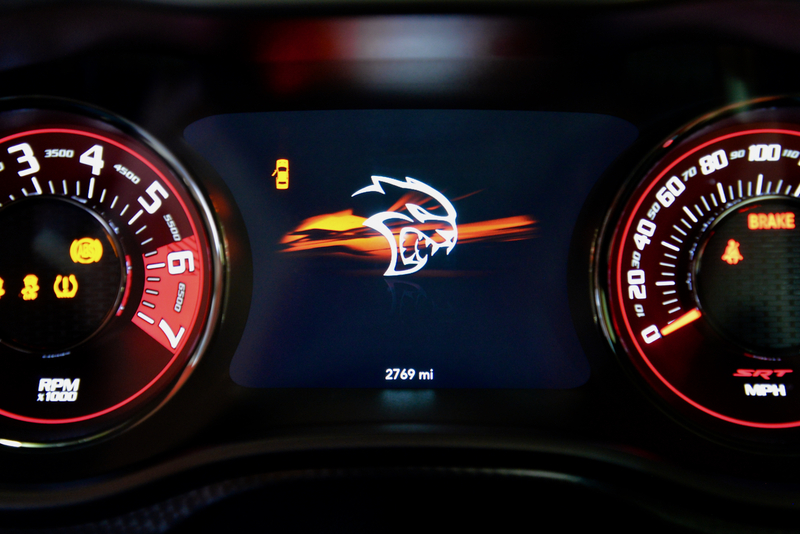 If you have never driven a Dodge Challenger SRT Hellcat, you are in for the time of your life, as they are blindingly fast and an absolute blast to drive. 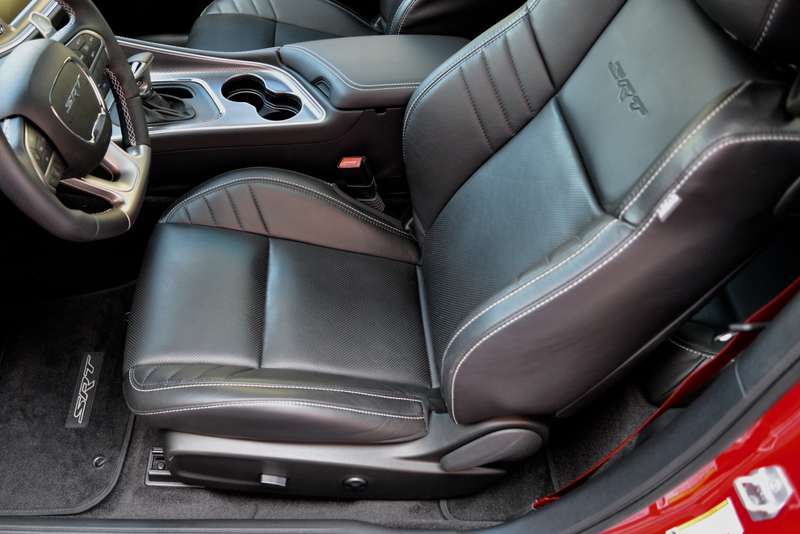 They are also extremely accommodating w/ every creature comfort you could ask for. 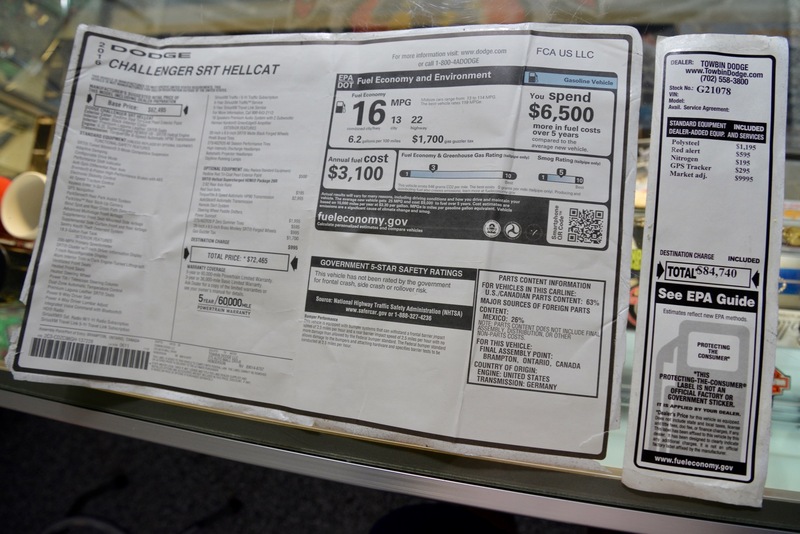 With only 2,770 original miles, you are basically getting a brand new car w/ a huge discount off of the original purchase price. 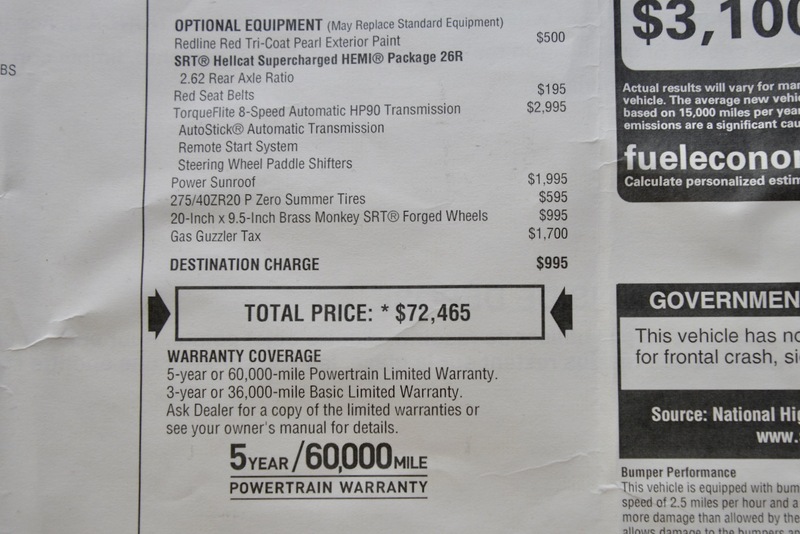 Talk about a HUGE bang for the buck! 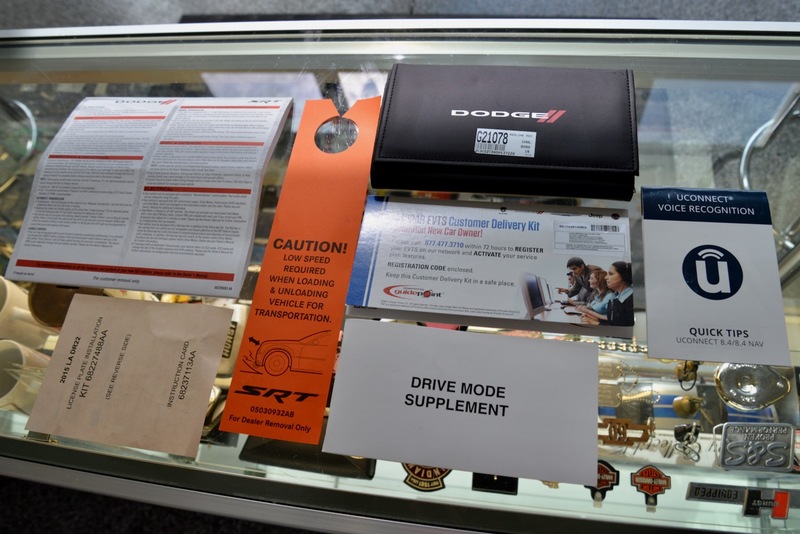 Every single piece of original documentation/paperwork will go to the new owner, including: original window sticker, original owner’s manuals, original drive-mode supplement, original UCONNECT instruction pamphlet, original customer delivery kit, original hang tags, front license plate bracket, etc. 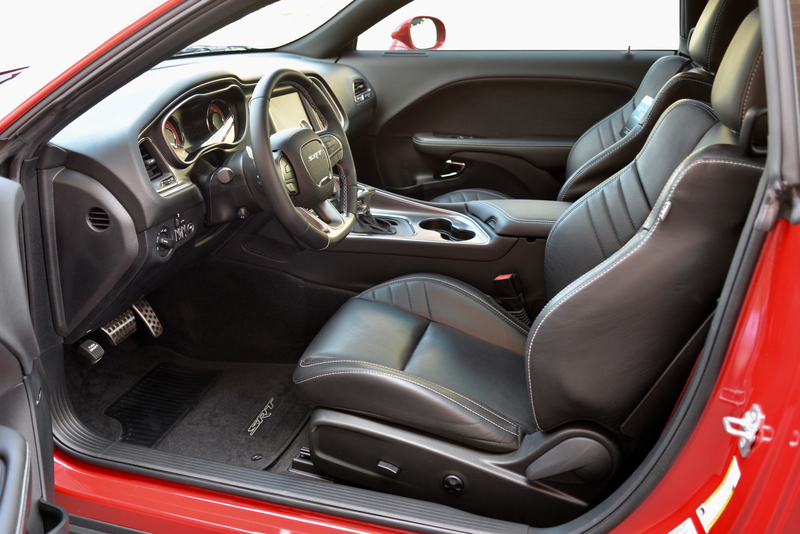 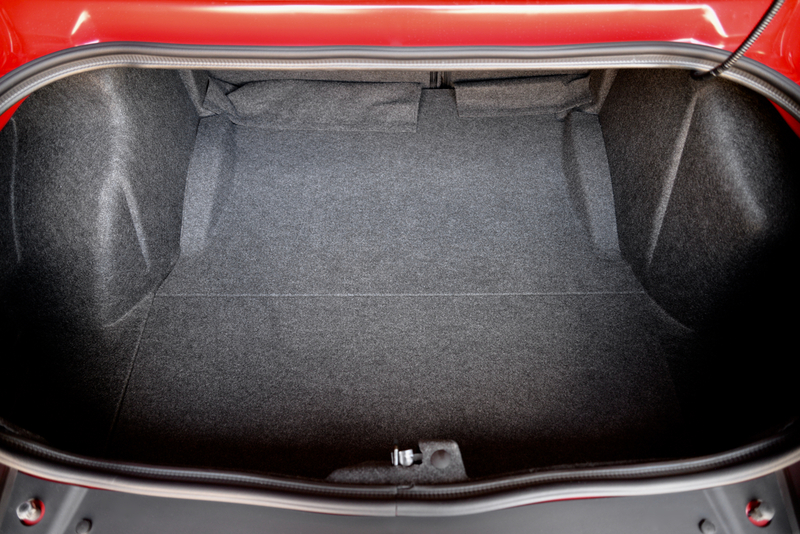 Of course, the one-owner Carfax is spotless! 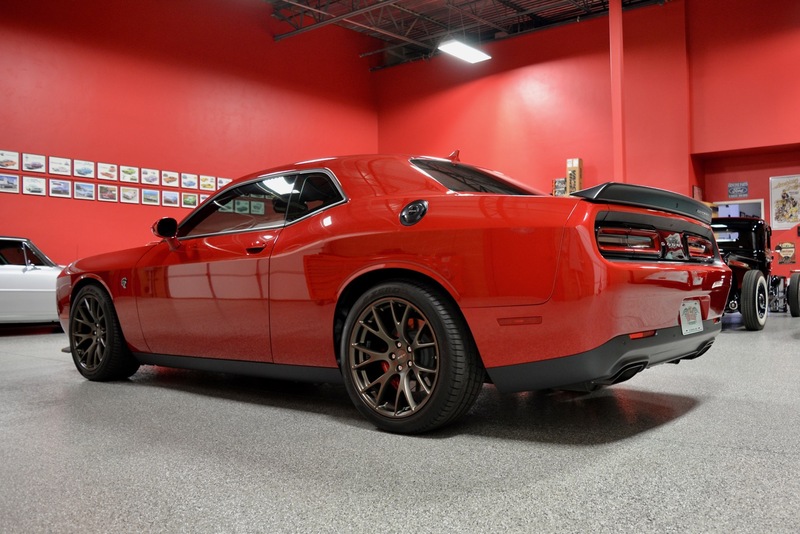 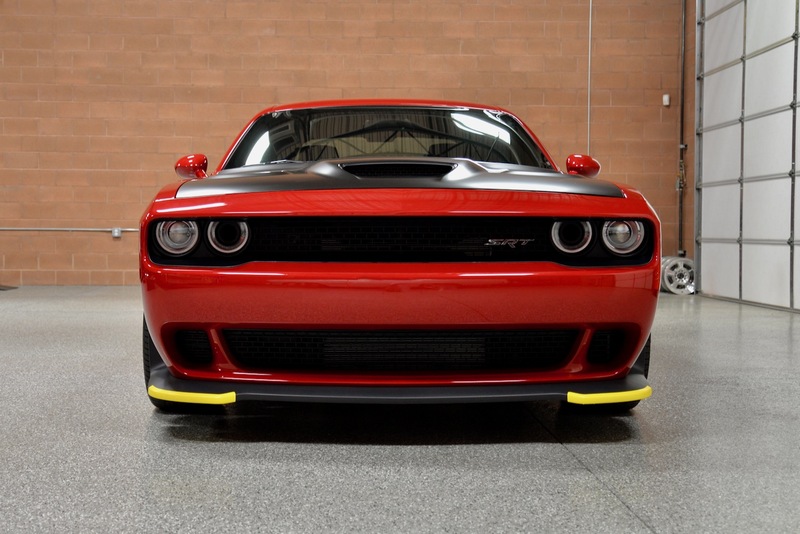 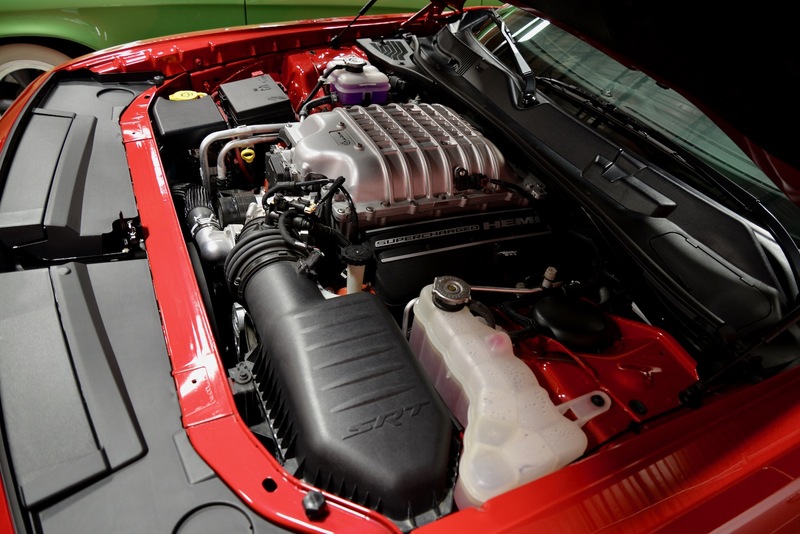 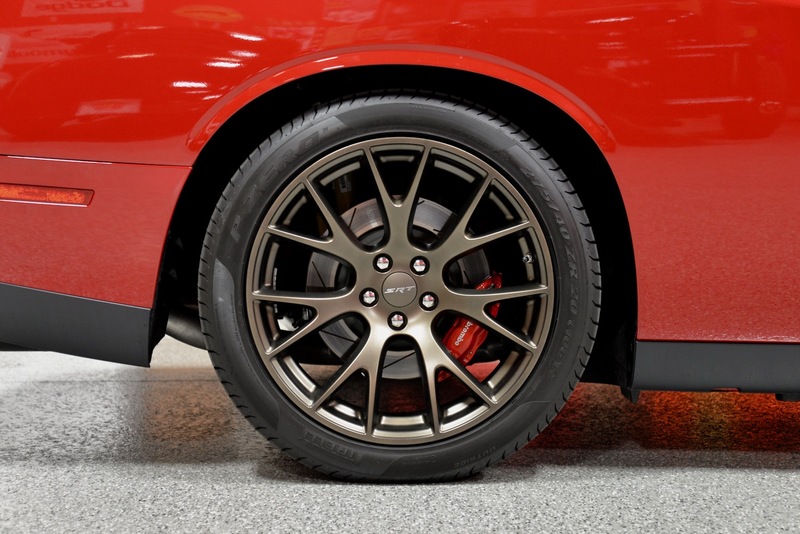 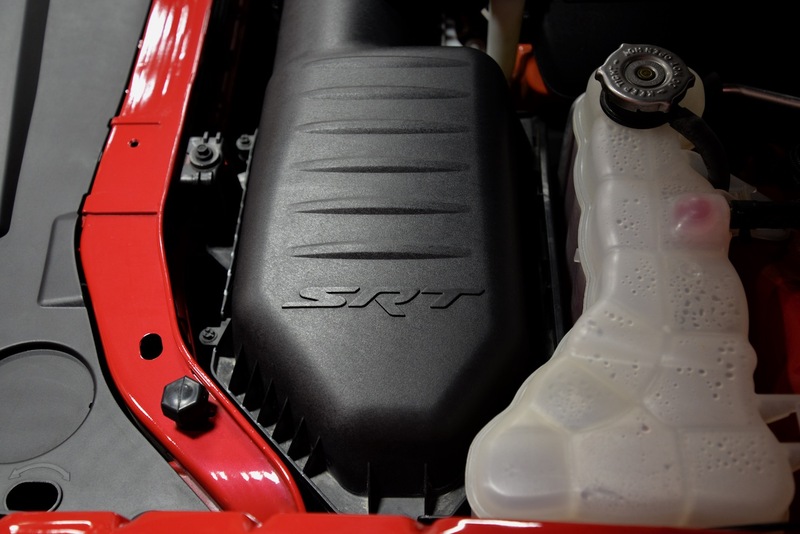 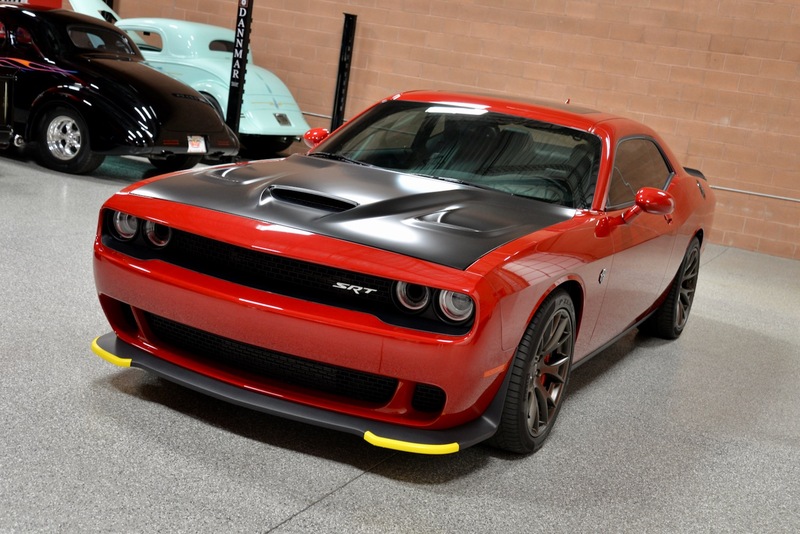 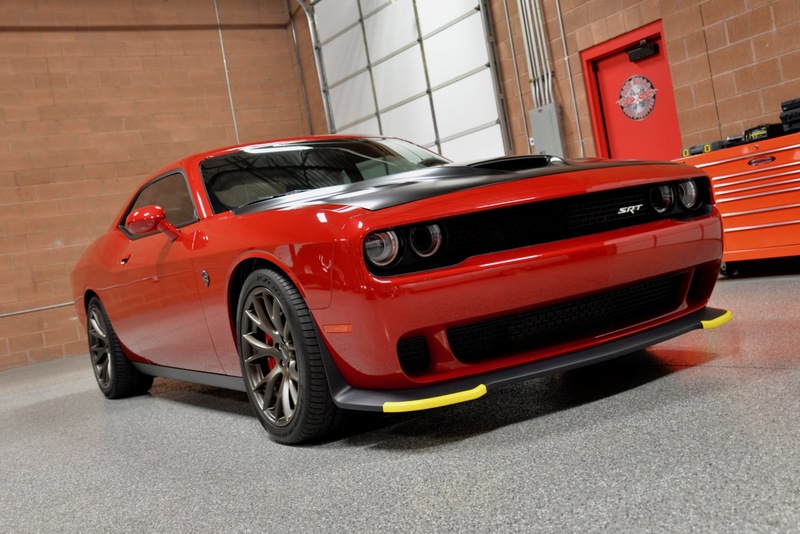 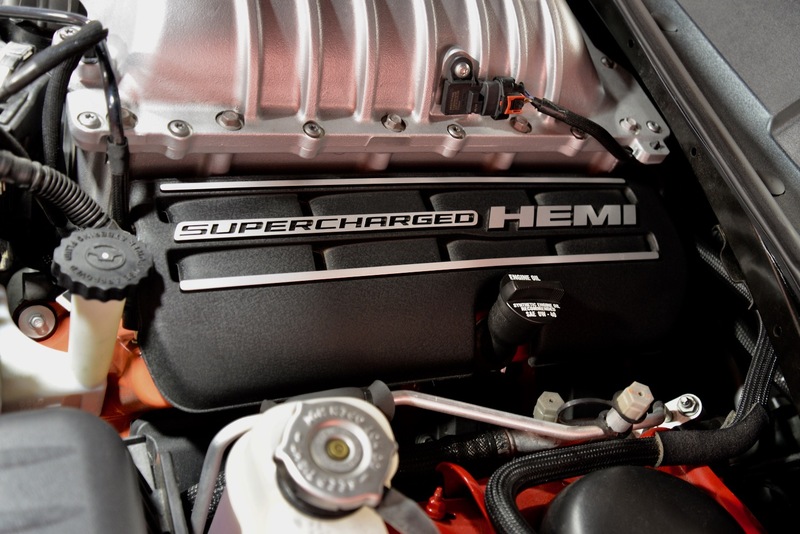 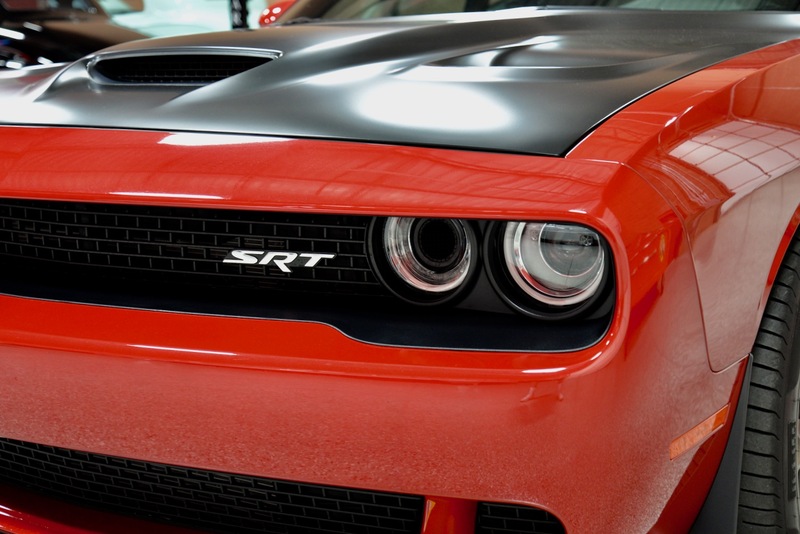 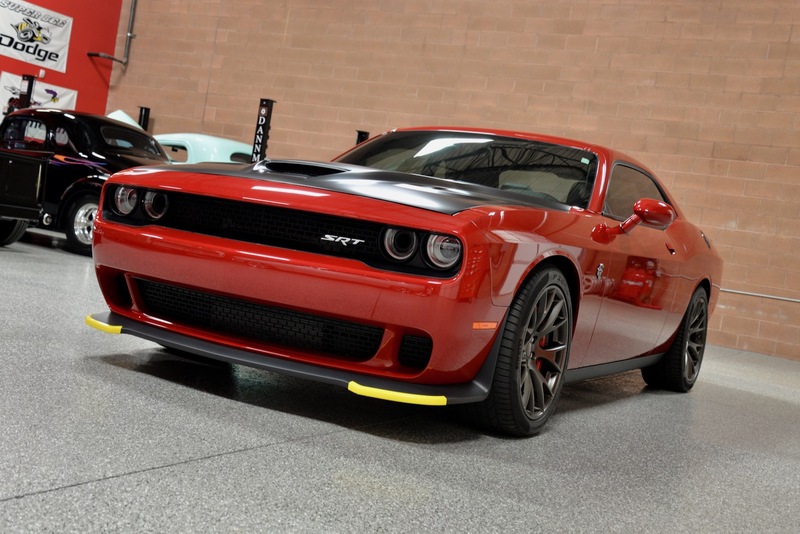 If you have been searching for a super low-mile Dodge Challenger SRT Hellcat, one that is loaded w/ every available factory option in arguably the best color combo, you have found your car!